One of the most frustrating things is not being able to sleep. 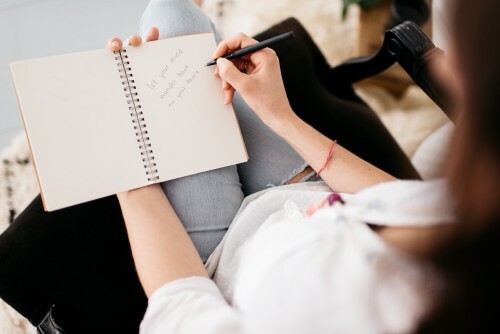 Your whole day suffers from a restless night and so does your health: a sleepless night is often followed by bad food choices, not enough energy to workout and not enough concentration to meditate. 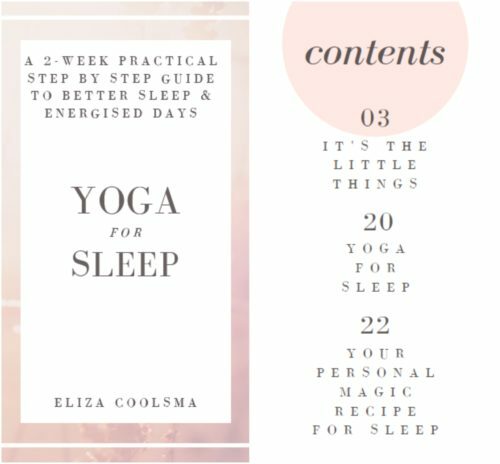 Yoga For Sleep is here to help you heal insomnia and allow for energised days with healthy choices. You can follow the course in 2 weeks or in your own pace. Of course this is a much better (and cheaper!) long-term investment in your health instead of quick fixes like sleeping pills (which can cost you up to €60 a week!). You can come back to this book during stressful periods or big life changes when sleep doesn’t come easy. Enjoy your journey to wonderful, restful nights and happy, energised days. Upon payment, you will be able to download & enjoy your ebook instantly. This ebook with 22 pages has practical exercises that you can do as you read. You can type in your ebook and erase it again if you want to take the course another time. They will only take 5 minutes a day and will create healthy habits for life!